Paul Carbon specializes in the defense of professional liability claims, with emphasis on accountants, lawyers, architects, engineers and other design professionals, real estate agents and brokers, and insurance agents and brokers liability claims. He also handles complex commercial litigation, business litigation, class action and mass tort litigation, estate and trust litigation, and mergers and acquisitions. Paul has extensive experience in successfully defending professionals in errors and omissions claims and lawsuits. He has been quoted in, and his cases featured in, the New Jersey Law Journal, Law 360, and Reuters, among others. In the area of lawyers’ professional liability claims, Paul has successfully defended attorneys in a wide range of legal malpractice claims stemming from blown statutes of limitations to negligence in handling various types of underlying matters, including personal injury, matrimonial, estates and trusts administration and planning, residential and commercial real estate closings, workers’ compensation, products liability and commercial litigation cases. He has also successfully defended lawyers against aiding and abetting, conspiracy, fraud and state and federal Racketeer Influenced and Corrupt Organizations Act (“RICO”) claims, and has consulted on the Gramm-Leach-Bliley Act, federal patent infringement law and assets forfeiture laws. Paul also defends accountants in a wide range of professional liability lawsuits involving all levels of attestation services, tax, consulting and expert services, and SEC related services. Paul frequently represents accountants in investigations by federal, state and local agencies, including the Securities and Exchange Commission, the Federal Bureau of Investigation, the Internal Revenue Service, the U.S. Commodity Futures Trading Commission and the New Jersey State Board of Accountancy. He is frequently called upon to provide pre-litigation risk management services to accountants, including claims handling assistance and public and private subpoena response and risk management services. Paul serves as general counsel to several accounting firms, providing advice on quality control training and manuals, employment liability, and general risk management. 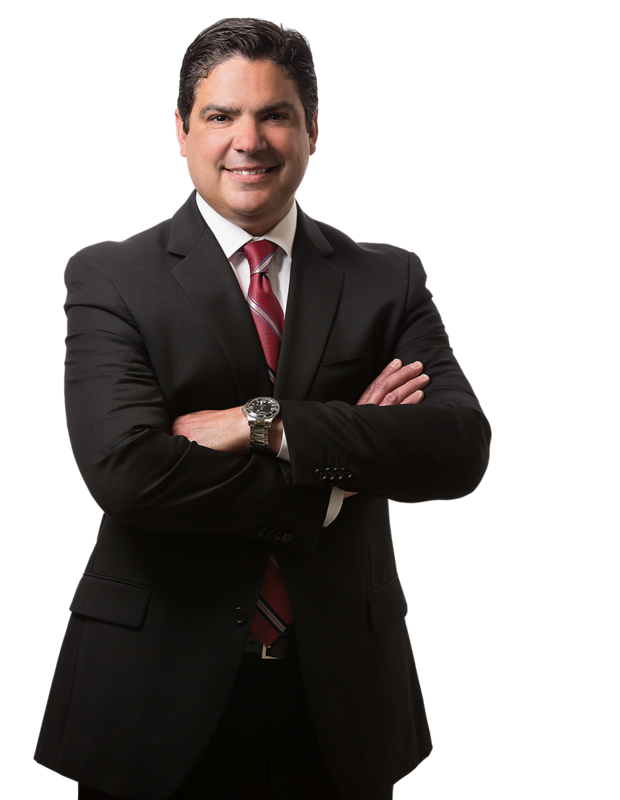 Paul has successfully defended architects, engineers and other design professionals, real estate agents and brokers, and insurance brokers and agent in wide variety of errors and omissions claims and lawsuits, often obtaining very favorable results. In addition to defending professionals in errors and omissions claims, Paul represents shareholders, partners, business owners and companies, as both plaintiffs and defendants, in a wide range of complex commercial litigation, arbitration, mediation and contract drafting and negotiation matters, including shareholder and partnership negotiation and disputes, restrictive covenant negotiation and disputes, and ERISA claims and litigation. He frequently handles complex business litigation involving aiding and abetting, conspiracy, fraud and federal and state RICO claims. In addition, he counsels individuals and companies on mergers and acquisitions, employment practices liability and transactional matters and other general business law matters. Dismissal of legal malpractice case involving the handling of an underlying workers’ compensation case; obtained frivolous lawsuit sanctions against the claimant at trial level and affirmed on appeal. Dismissal of accounting malpractice case stemming from alleged negligent consulting services; dismissal based on lack of personal and subject matter jurisdiction. Dismissal of legal malpractice case stemming from legal services provided in the acquisition of sports collectibles. Dismissal of accounting malpractice case in New Jersey federal court on comity grounds. Dismissal of malpractice, fraud and negligent misrepresentation claims against real estate agency and broker stemming from the listing of residential real estate. Dismissal of accounting malpractice lawsuit stemming from the accountant’s services as a joint expert in underlying matrimonial case. Dismissal of legal malpractice case stemming from lawyer’s handling of residential real estate transactions. Dismissal of legal malpractice counterclaims asserted by lawyer’s client in response to lawyer’s affirmative fee claim. Dismissal of accounting malpractice case, fraud and RICO causes of action asserted against accounting firm. Dismissal of malpractice, negligent misrepresentation and breach of fiduciary duty claims against lawyer and law firm in the handling of complex commercial and bankruptcy litigation. Dismissal of negligent tax preparation services claims against a nationwide tax preparation services company. Dismissed numerous legal malpractice counterclaims asserted in response to the lawyers’ outstanding fee claims; many of the claims involved the improper handling of matrimonial, personal injury and estate and trust litigation cases. Dismissal of accounting malpractice claims stemming from alleged negligence in the handling of real estate investments, and alleged negligence in advice dealing with real estate and stock investments. Dismissed legal malpractice claims against lawyers stemming from the handling of an underlying matrimonial case. Defense of accountant against a subrogation claim based on the embezzlement by the accountant’s client’s bookkeeper. Dismissal of accounting malpractice case against accountant for the debtor in the United States Bankruptcy Court for the District of New Jersey. Dismissal of accounting malpractice case against accounting firm stemming from alleged improper consulting in preparation of financial statements for condominium association. Dismissal of accounting malpractice case for services rendered during a purchase and sale of a dental practice. Defended law firm against malpractice claims stemming from alleged negligent services in the handling of an underlying discrimination case. Defended accounting firm in the United States District Court for the District of New Jersey against class action lawsuit alleging negligence in the audit of a publicly traded medical device company. Defended real estate broker and agency against malpractice, breach of fiduciary duty and negligent misrepresentation claims stemming from the failure to disclose defects with the property. Defended accounting firm in the United States District Court for the District of New Jersey against claims of alleged negligent audit of client acquired by a publicly traded company. Defended numerous lawsuits against lawyers for aiding and abetting, conspiracy, fraud, RICO, breach of fiduciary duty and negligent misrepresentation claims. Defended numerous accounting malpractice cases involving claims against the accountant for failure to detect the embezzlement by the accountant’s client’s staff. Defended errors and omissions claims against architects, engineers and other design professionals, and insurance agents and brokers. Defense of various accounting malpractice matters predicated on alleged negligence in rendering tax advice and tax preparation services. Represented many accountants in federal and state agency subpoenas and investigations, including subpoenas and investigations by the Department of Justice, state and federal prosecutors’ offices, Department of Labor, Internal Revenue Service, Securities and Exchange Commission and the United States Commodity Futures Trading Commission. Defended accountants in numerous New Jersey Board of Accountancy complaints, mostly resulting in no action letters. Represented numerous businesses and business owners in a variety of disputes before litigation and in litigation in state and federal court and before litigation. Represented individuals and companies in connection with termination of employment, severance and separation agreements, and risk management.